NEW This page presents the concept of logarithms of different bases, with some practice problems. 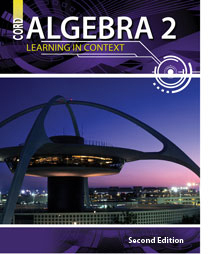 NEW This series of pages presents examples and practice for applying the properties of logarithms. This page discusses simple and compound interest, including practice problems.